Learn about and explore Barkhamsted's history. Forums - where you can post or read messages. Journals - detailed entries on selected topics. Newsletters - download BHS newsletters. Photo Galleries - all of our selected photos are here. Short tour of historic sites in Barkhamsted. One of our goals is to record current events, cultural happenings and what now may seem to be some of the more mundane tidbits of everyday life in this town of Barkhamsted, Connecticut. We feel that as time passes, the information preserved here will provide a fascinating glimpse of "the way things used to be". The Barkhamsted Historical Society is an all volunteer organization with no paid employees. We accept genealogical inquiries but unfortunately we just do not have the resources to help you with more than just basic questions. Click here for information on how to contact us. 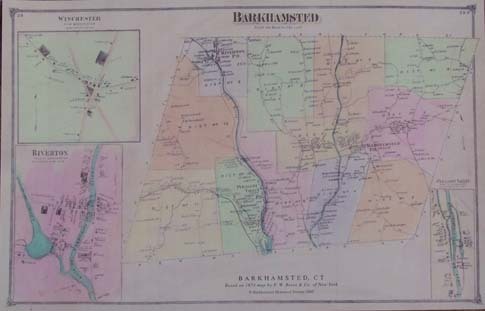 The Historical Society is selling reprints of the F. W. Beers 1874 map of Barkhamsted. This colorful map (shown above) shows the 12 old school districts and has most of the houses (with owners names) that existed at that time. The map is on heavy textured paper, measures 13.75 inches by 21 inches and is suitable for framing. It is available for $7 at Historical Society events such as the flea markets, annual meetings and open house days at the Squire's Tavern. It is also available by mail for the price of $12 including shipping. Proceeds from the sale of these maps help support Historical Society activities. We have a limited number of this comprehensive Barkhamsted History Book. First published in 1975 and reprinted in 1990. 345 pages (softcover). Price: $25 at the Tavern, or $32 by mail (price includes shipping). 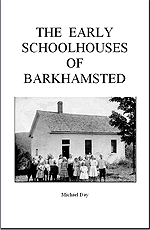 The Early Schoolhouses of Barkhamsted written by Michael Day. 36 pages (booklet). With pictures and accompanying text we provide an introduction to the basics of 19th century education along with a brief history of the various districts that served the neighborhoods of Barkhamsted. Price: $7.00 at the Tavern or $10 by mail (price includes shipping). The Historical Society is always looking for the support of new members. If you want to become an active member and/or work on one of our projects or special committees, we definitely want to hear from you! The Barkhamsted Historical Society is working to preserve and share the history and culture of the Connecticut town of Barkhamsted. In these pages we hope to share with you information, sights and flavors of Barkhamsted, past and present. Friday April 12th at the Barkhamsted Senior Center at 7pm, Kandie Carle will once again entertain us with her educational and entertaining presentation with a “show and tell” of the clothing that was in style at the time of Jane Austen’s novels. Ms. Carle will share excerpts from some of Jane Austen’s novels as well as her personal letters while demonstrating the proper dress for ladies and gentlemen of the early 1800’s. Maybe you would like to re-read one of Austen’s novels and/or dig out something fitting to wear to the program that night! ( There will be a $5 fee for this program to help cover our expenses for the performance. 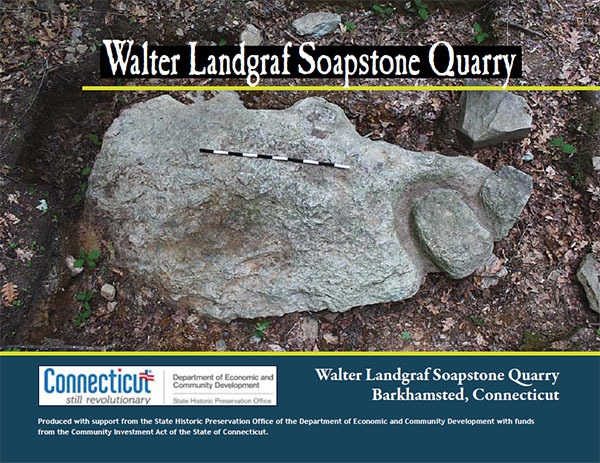 A new publication is now available on the Walt Landgraf Soapstone Quarry located in Barkhamsted on Ragged Mountain in Peoples State Forest. The publication is written by archaeologist Dr. Ken Feder and was produced with funding from the State Historic Preservation Office, the Farmington River Coordinating Committee and the Barkhamsted Historical Society. This is a very nice summary of the soapstone quarry and nearby rock shelter that was utilized by native Americans thousands of years ago. The area is of such interest and importance that it was designated an archaeological preserve by the State of Connecticut in 2015. The 24-page booklet is available at the Squire’s Tavern for $5 or for $10 (to cover shipping) you can order a copy and we will mail it to you. 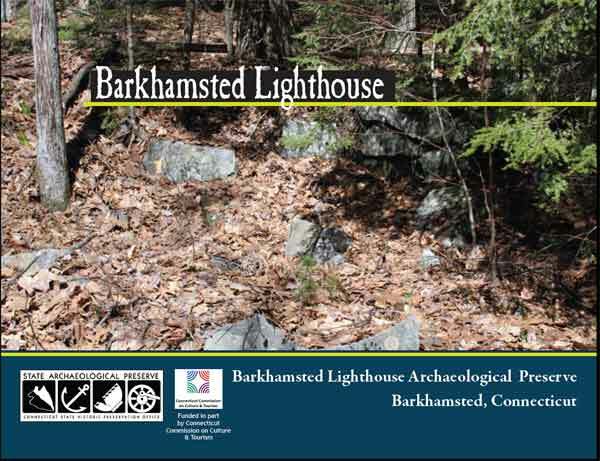 The 24-page booklet, Barkhamsted Lighthouse, by Dr. Ken Feder, tells the story of the Barkhamsted Lighthouse community, and the archaeological research by Dr. Feder and his team. Price $5 at the Tavern or $10 by mail (includes shipping). Click in the image and drag to view in 360 degrees. Click the arrows to advance to next panorama. 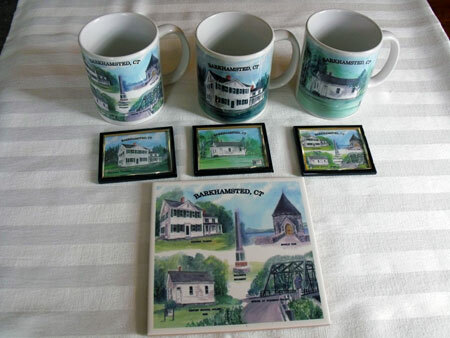 The Squire's Tavern Store now has mugs,trivets and refrigerator magnets for purchase.The mugs come in 3 styles and cost $10 each,the trivets are $15 each and feature several scenes from Barkhamsted, and the magnets come in 3 styles and cost $5 each.Great ideas for gifts.Stop in and see!